"The Voice of the Kentucky Construction Industry"
Use a combination of the following search tools to execute a directory search. Welcome to the AGC of Kentucky Online Membership Directory! To find another member, browse by category (Division) below or click on "Radius Search" to locate members within a specific zip code. 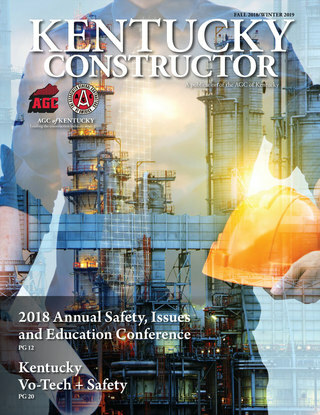 View the latest edition of the Kentucky Constructor. Our bi-annual magazine written by local industry professionals is a valuable resource for business owners and managers. Copyright @ 2019, AGC of Kentucky. All Rights Reserved.